A huge blaze raged up the west side of Capitol Hill towards Ensign Peak, Tuesday, July 24. Luckily, it could have been a lot worse. Whether you live high on the hillside, or not, fire is a possibility. Minimize fuel such as dry grass and brush. Sparks and embers can land on roofs so check your gutters. Keep them free of fuel, too. 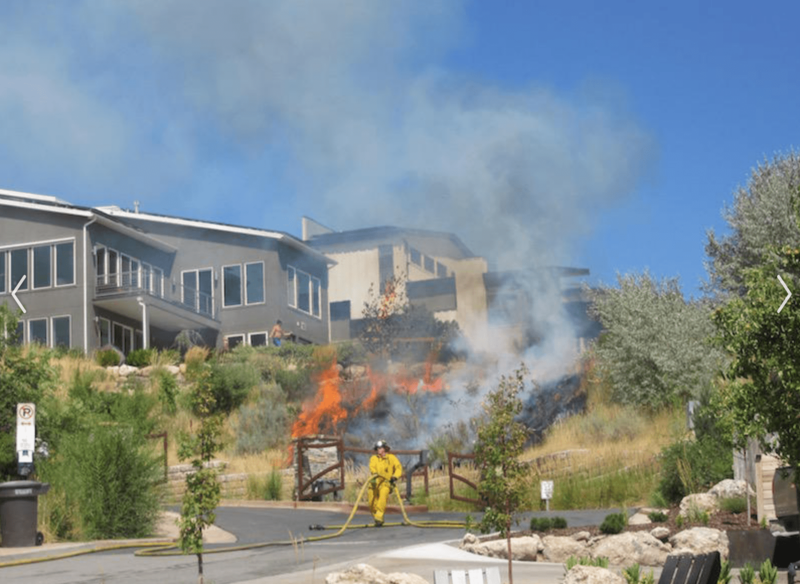 Salt Lake City Fire Department (SLCFD) has a Public Protection Classification of 1— the highest safety- and risk-evaluation rating possible. SLCFD is the first department in Utah to receive this designation from the Insurance Services Office (ISO). Only 270 departments nationwide rate Class 1. * If you come to our monthly meetings you know this already! We’ve got great dispatchers here! Salt Lake Dispatch is tri-(police, fire, medical)-accredited. It is the 6th accredited center in the world. That means that 95% of calls get sent immediately to the right agency, for the right response, the first time. Celebrate Flowers at the Wasatch Wildflower Festivals! Thursday, Aug. 2, 5:30pm @ City & County Bldg Rm 326. This hearing is regarding construction of three single family attached dwellings and demolition of a non-contributing structure. See more info here. Tuesday, Aug. 7. Join with SLCPD at a local event. As soon as the location and time is available for our neighborhood event, the CHNC calendar will be updated. Check it, here, out to see what other neighborhoods are doing. Saturday, Aug. 25, 9a-1p @ Salt Lake County Government Center.